We know Aiken and the Aiken homes for sale. We can show you all of the properties available on the MLS. Thank you for looking at Aiken Properties' Website. If you are relocating, buying, selling or want to search for horse properties, farms, acreage and golfing communities in Aiken, South Carolina, you have come to the right place. We have acreage, commercial, horse properties, fine estate homes and wonderful golfing communities throughout Aiken. As professionals, we are on call at all times of the day. For any information on Aiken real estate properties, please click on the MLS search or our listings above. Aiken Properties as been chosen for many years by the readers of the Aiken Standard as the best of the best And Readers Choice award. 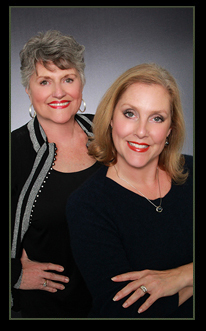 "Paula was very helpful &devoted all her time to me until I found the right house. She knew exactly what I wanted. All are family & many of our friends ... more "
"Paula Blessing and everyone with the Blessing - Thomas Team were absolutely wonderful! They are extremely knowledgeable, friendly yet professional ... more "